Are you looking to update your home? 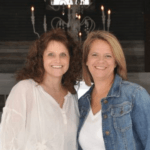 Wanting to get a new look quickly, without spending a fortune? Let’s paint some furniture! 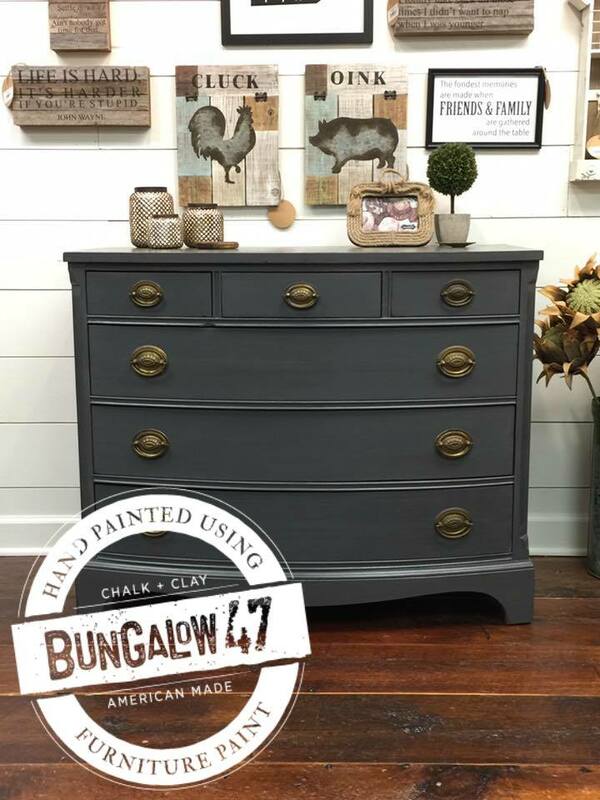 Bungalow 47 Furniture Paint offers 20 on-trend designer colors in an American-made chalk and clay paint. 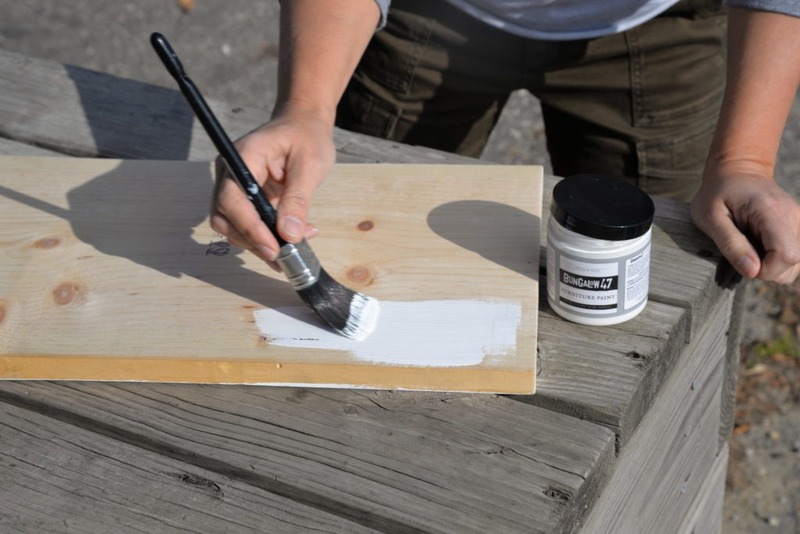 It’s fast-drying and easy to use formula will have you painting in no time with little prep and fast results. 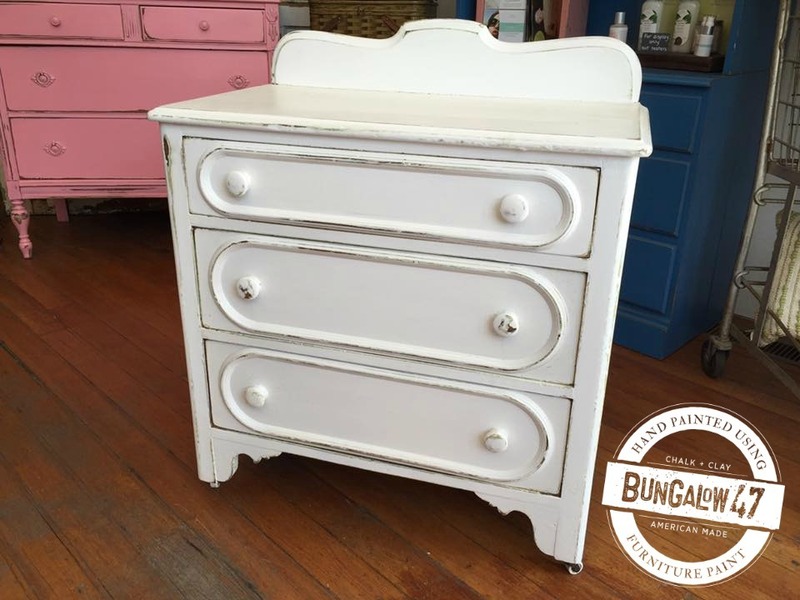 Don’t be afraid to paint that furniture you’ve had forever to give it a new, updated look! 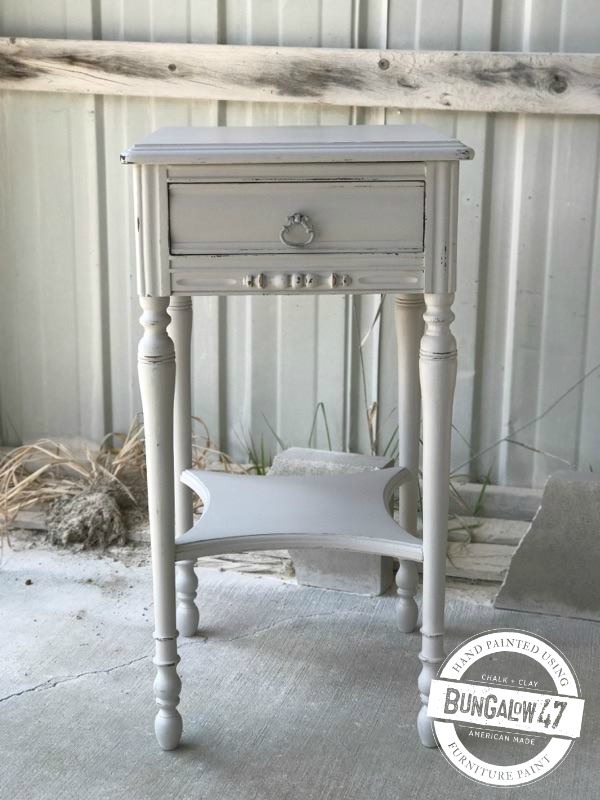 Light distressing will give your piece that soft look of age. 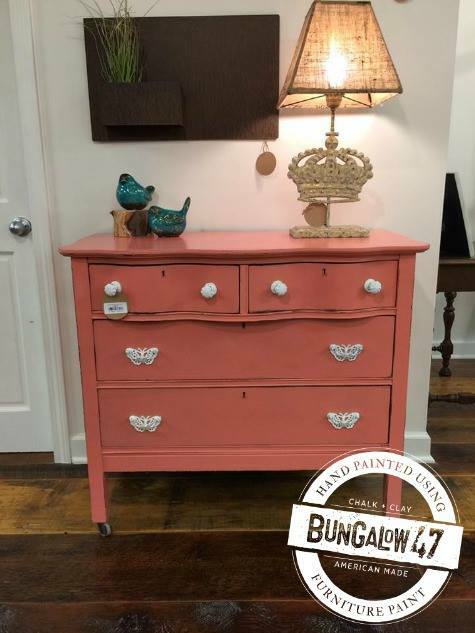 Bungalow 47 Furniture Paint can be distressed using sandpaper or a wet-distressing technique. 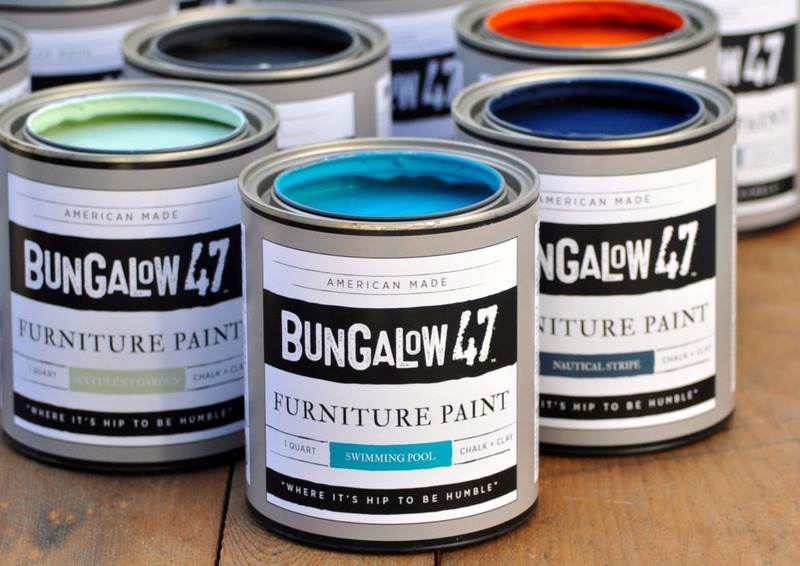 Bungalow 47 Furniture Paint can be painted right over previous finishes, without having to strip, for a fresh new look! 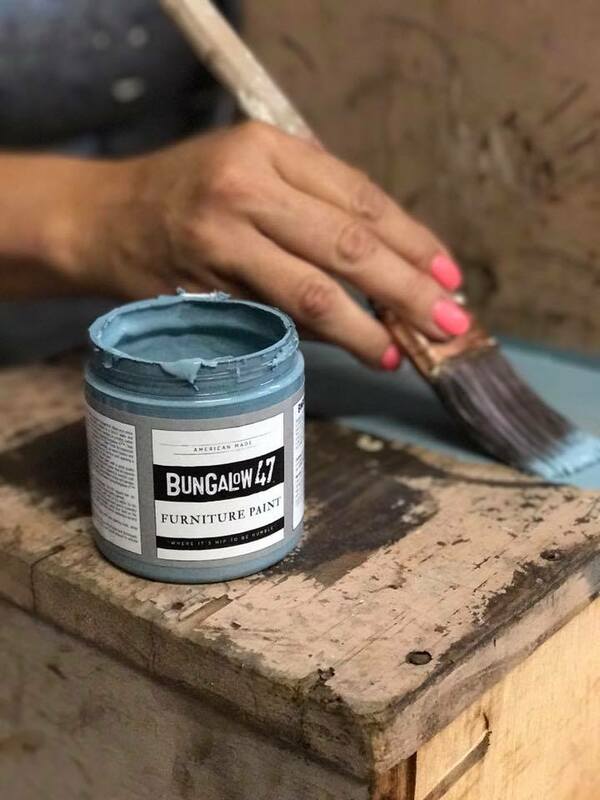 Protect your painted piece using Bungalow 47 Matte Finish. The finish will protect against scratches and water damage. 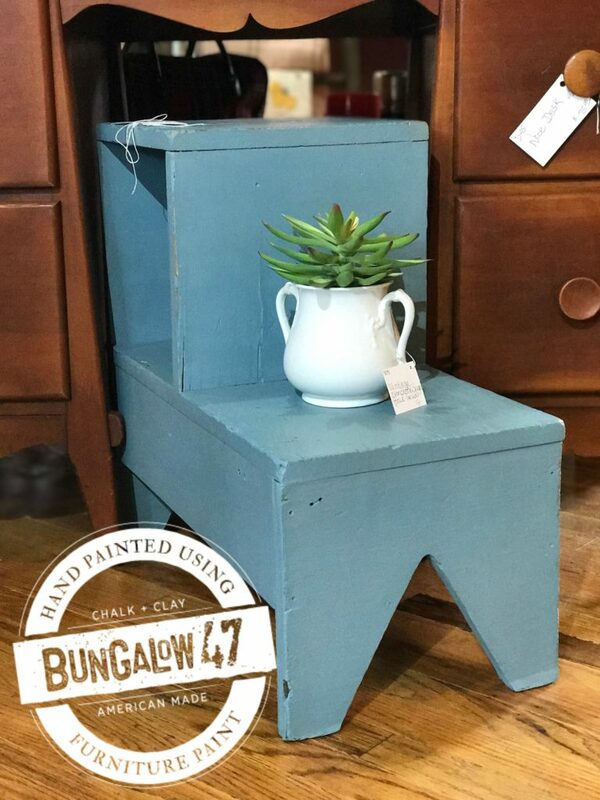 Bungalow 47 Clear Primer can be used if you have a piece that has been damaged from years of abuse, or is a wood that is known to bleed. 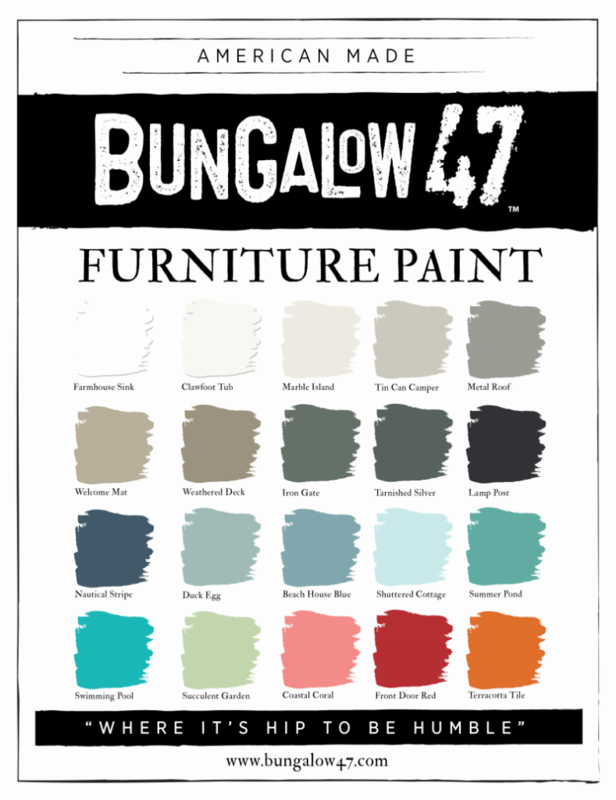 What project do you have waiting for Bungalow 47 Furniture Paint? Just choose your favorite color and get painting!